So the little workshop on `Isotropic Random Fields in Astrophysics’ I announced some time ago, sponsored via a “seedcorn” grant by the Data Innovation Research Institute, has finally arrived, and having spent most of the day at it I’m now catching up with some other stuff in the office before adjourning for the conference dinner. 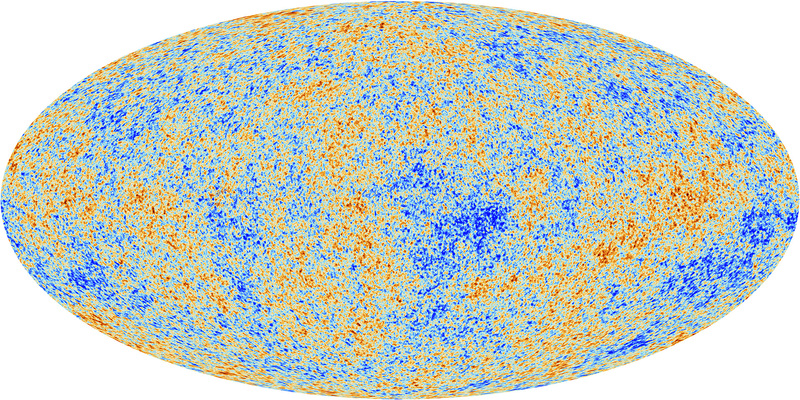 This meeting is part of a series of activities aimed at bringing together world-leading experts in the analysis of big astrophysical data sets, specifically those arising from the (previous) Planck (shown above) and (future) Euclid space missions, with mathematical experts in the spectral theory of scalar vector or tensor valued isotropic random fields. Our aim is to promote collaboration between mathematicians interested in probability theory and statistical analysis and theoretical and observational astrophysicists both within Cardiff university and further afield. It’s been a very interesting day of interleaving talks by cosmologists and mathematicians followed by an open-ended discussion session where we talked about unsolved problems and lines for future research. It’s clear that there are some language difficulties between the two communities but I hope this meeting helps to break down a few barriers and stimulate some new joint research projects. This entry was posted on June 29, 2017 at 6:05 pm and is filed under The Universe and Stuff with tags mathematics, Random Fields, statistics. You can follow any responses to this entry through the RSS 2.0 feed. You can leave a response, or trackback from your own site.